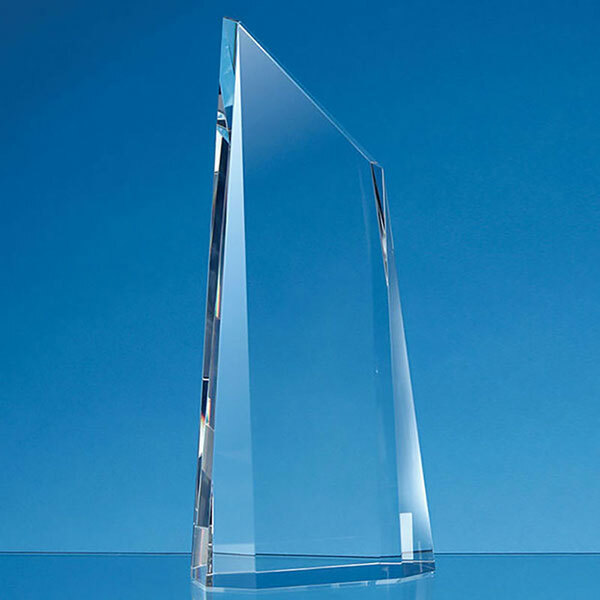 Stylish modern glass awards trophy crafted in flawless optical crystal with sloping peak and tapered body with wide bevelled planes. 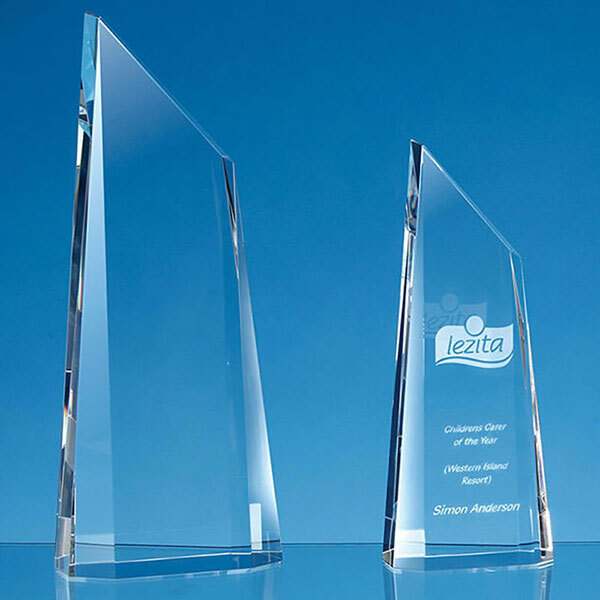 These freestanding awards provide a large area for engraving and/or colour print, and each trophy is supplied in a quality presentation box. Product dimensions: H:180mm, W: 75mm, D: 40mm, Weight: 0.76kg.